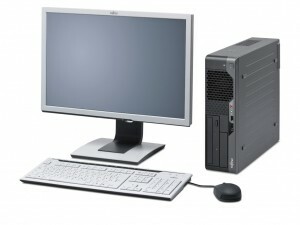 Expert PC and Computer repair service for all brands in Scotch Plains, NJ, with World of Fax and Computers. Call 1-800-634-9329. Is your computer not running? Is your computer running slow? Would you like to have your information and pictures backed up? Do you have a virus and your computer is not working? Is your computer not turning on, or your computer not turning off? Is your computer freezing up, printer not responding to the printer? Call World of Fax and Computers at 800-634-9329 for service in Scotch Plains, NJ and we can help right away! Computer not working like it used to? Taking a long time to start up? We service HP, Gateway, Dell, Microsoft, IBM, Lenovo, Apple Mac, Macbook, Ipad, Asus, Packard Bell, Samsung and all other makes and Models. We Service Computers in Scotch Plains, NJ and also Rockland County, Bergen County, Westchester County, Manhattan and New York City, Long Island, Essex County, Morris County, Passaic County, and Union County. We have over 20 years of experience in Scotch Plains, NJ of the repair of Fax Machines, Shredders, Copiers, Computers and Laser Printers. We also service computers and typewriters. Service, Parts, Drums, Toners and all supplies are available From WorldOfFax.com or Call 800-634-9329.